List of distributions associated to the red nodes of a bipartite graph. A bipartite graph. It must have red nodes, and the red node must have a clique of size the dimension of the th distribution. Where is the vector , being the clique of black nodes linked to the red node . The dimension is the cardinal of the union of the cliques, ie the number of black nodes in the bipartite graph. getDistributionCollection() Get the distributions defining the CDN. getGraph() Get the bipartite graph defining the CDN. setDistributionCollection(coll) Set the distributions defining the CDN. setGraph(graph) Set the bipartite graph defining the CDN. 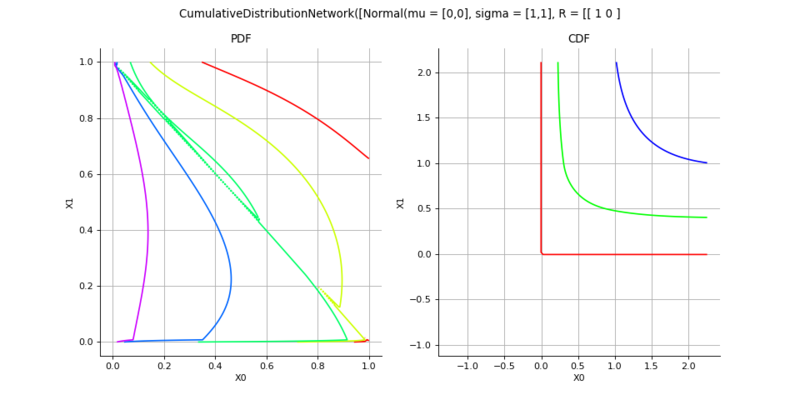 Get the distributions defining the CDN. List of the distributions in the CDN. Get the bipartite graph defining the CDN. The bipartite graph defining the CDN. Set the distributions defining the CDN. Set the bipartite graph defining the CDN.